Alright boys and girls and squirrels, it’s Monday so that means another edition of Studs and Duds. Sam and I both make appearances this week on the studs and duds. Where do we fall? I think we all know the answer to that one. 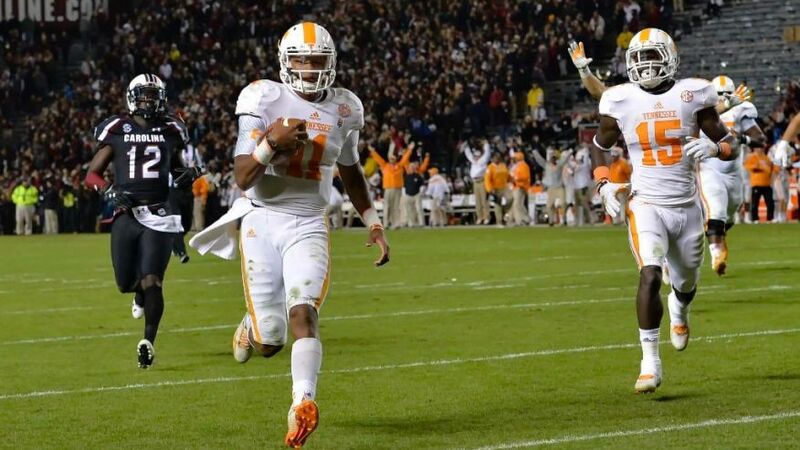 Dobbs made his first start of the season against a reeling South Carolina team. And boy did he make the most of it. 347 yards passing with 2 touchdowns. 166 yards rushing with 3 more touchdowns. For those of you keeping score at home, that is a grand total 513 yards of offense and 5 touchdowns. He may be the spark this Tennessee team needs to get the Volunteer season back on track. Texas A&M squeaked out a win at Kyle Field against a team from the state of Louisiana. Except, it wasn’t LSU. It was UL Monroe. The Aggies managed just 243 yards against the Sun Belt foe. With Kenny Trill now Kenny Backup (or Kenny Suspended whichever you prefer) and freshman Kyle Allen struggling to throw the football, this season is beginning to look ugly for the Aggies. That’s right the terrible, can’t throw, can’t run, can’t play defense, Fire Muschamp Florida Gator rushing attack is a stud this week. They deserve it too. 418 yards on the ground led to a pounding of the Bulldogs. Granted, they only had 27 passing yards, but Auburn proved last year that you don’t have to pass to win. Why fix something that isn’t broken? The Gators all but eliminated Georgia’s chances of making the playoff, and this win may have just saved Coach Boom’s job for one more year. “That’s right the terrible, can’t throw, can’t run, can’t play defense, Fire Muschamp Florida Gator rushing attack is a stud this week. They deserve it too. 418 yards on the ground led to a pounding of the Bulldogs. Granted, they only had 27 passing yards, but Auburn proved last year that you don’t have to pass to win. Why fix something that isn’t broke? 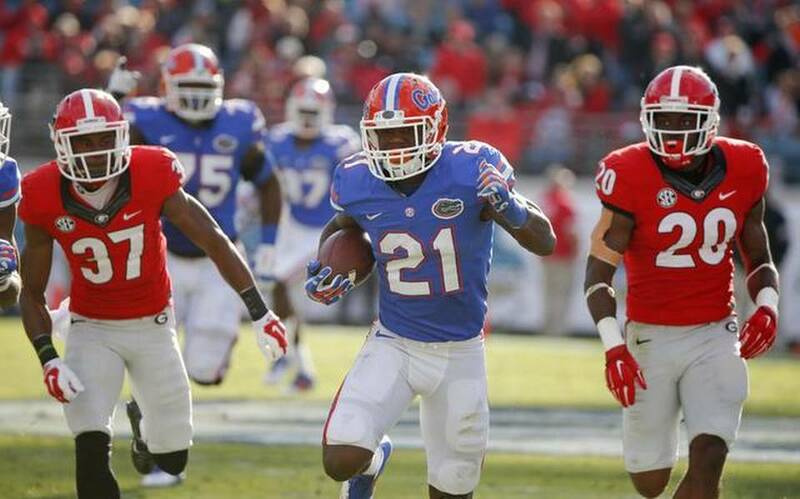 The Gators all but eliminated Georgia’s chances of making the playoff and this win may have just saved Coach Boom’s job for one more year.” They lost to Florida and gave up 418 yards rushing doing it. I mean c’mon man! The Oregon Duck is putting up another monster year. Saturday was no different. 258 yards with 2 touchdowns topped off by 85 yards on the ground and another 2 touchdowns, this performance just continues his stellar season. While those may not be super eye-popping numbers, look at who it was against. Stanford has been Oregon’s kryptonite the past few years. The hurdle that always trips them up at the finish line. Mariota led this year’s team to a 45-16 beatdown and cemented his place in NYC come December. There was a pregame brawl between the Nittany Lions and the Terrapins from Maryland. Then, the Maryland captains refused to shake the Penn State captains’ hands. All this would surely fire up the Fighting Joe Pa’s at home right? Wrong. Maryland kicked a last second field goal to win in Happy Valley. At least there wasn’t a fight after the game too. Maybe there should have been. Probably would have been more entertaining anyway. Wooooohooo hooooo can you feel the tension in the air? Now it’s time for the section everyone has been waiting on! I put up a stellar 9-2 record this week with my only losses being Georgia (but who saw that coming?) and South Carolina. Sam tried to be a hot shot and pick a bunch of upsets but nooooo says I! In a relatively easy week of picks, Sam tried to get too cute for his own britches. 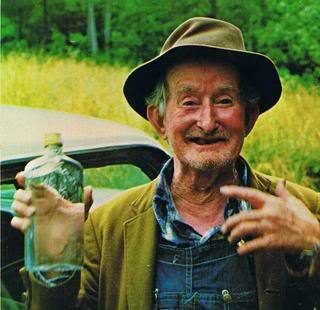 I bet Ole Pappy would tell him something like “Now boy back in Pappy day you never pick against a sure thing. Now that Ross fella knows that, but apparently you still gots some learning to do. Like my Pappy told me, when there’s wall paper to be hung, don’t be out playing in the swimming hole.” 6-4 for the week gets you on the dud list (especially when I go 9-2). While we both did terrible again against the spread (I went 4-7 while Sam was 3-7) we did have a disclaimer prior to our picks stating that if you were here for against the spread advice to look somewhere else. So that’s your fault, not ours.